I started working at a large produce company in April, 2005. My job was to assist the CEO with presentations, government relations and internal communications. I loved it. I advocated for healthy food policy on the national level, met interesting people in the organic agriculture world, and learned how our food is processed from farm to table. That all changed on September 14, 2006 when we found ourselves at the center of one of the largest foodborne illness outbreaks ever. E.coli-contaminated spinach, packed at one of our facilities in San Juan Bautista, California, had sickened hundreds of people across the country and killed three. Literally overnight, my job went from communicating the benefits of eating organic salads to helping coordinate a federal investigation between growers, scientists, investigators, lawyers, insurance agents and victims. For the next four years, I waded through lawsuits and assisted with the attempted sale of the company three times. The third time, the deal actually went through. The family-owned company that celebrated high morale, profit-sharing and innovation was unrecognizable by the time I left in 2010. Exit Strategy is my first novel and is based on the E.coli crisis of 2006. It is a fictional account, but the themes could be taken from today’s headlines: income inequality, sexual harassment in the workplace, and immigration issues all circulate as a company struggles with its identity and future. Available in both print and eBook, I hope you will support me by buying a copy for yourself, a friend or family member, donate a copy to a local library and/ or request your local bookstore to carry it. Below, I have listed five easy ways you can help me spread the word about Exit Strategy. 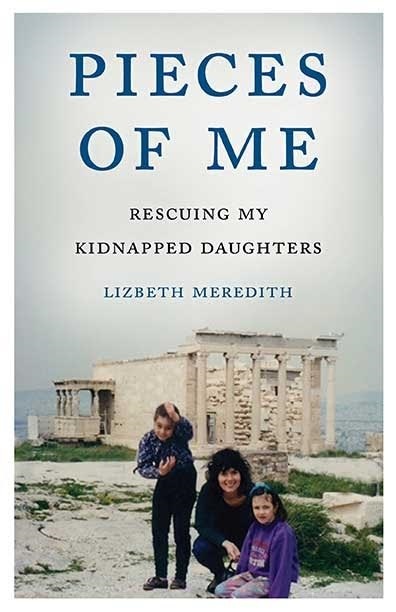 (Shout out to Pieces of Me Author Lisbeth Meredith for these tips.) If you’ve already done any, or all, of these, I can’t thank you enough. If you haven’t had the opportunity yet, I would be so grateful if you’re inclined to support me. Thank you! 1. SOCIAL MEDIA: LIKE my page on Facebook (https://www.facebook.com/juliefiniganmorris), follow me on Instagram (@finimo), and share news about the book via social media (tag me when you do, so I can thank you, and please be patient while I catch up with thank you’s!) Also, feel free to join the conversation by using the hashtag #exitstrategy when posting. 3. REVIEW: After you’ve read the book, post a review/rating of the book on Amazon. Reviews will help potential readers decide whether or not to buy the book, and the more reviews, the better. 4. GOODREADS: Add Exit Strategy: A Novel to your shelf on Goodreads and rate it honestly. 5. FOLLOW ME FOR INFO ON READINGS & EVENTS, OR SET AN EVENT UP YOURSELF: Join me at one of my upcoming events, and keep an eye on my website for more updates at http://juliefmorris.com Also feel free to schedule your own event, I would be honored to speak or do a book signing for your group. You can contact me via my website at https://juliefmorris.com/contact/ From civic groups to fundraisers, book groups, faith communities, the possibilities to connect in person or via Skype are endless. Whatever you decide to do, how big or small, it helps and it means so much. Thank you for your continued support and encouragement, and please let me know how I can pay it forward.